In the high tech digital world we currently live in, images mean everything. All of us have often heard the popular saying, “Don’t judge a book by its cover,” but we are all guilty of doing this on more than one occasion. Most people don’t realise the power that one simple image has over the way a person thinks. Consider as well, how social media is now predominantly comprised of images and videos, and it’s easy to see how something as innocuous as your social media profile image can be a metric on which potential customers are judging your business. Believe it or not, there is a science behind images and how a person feels or reacts to them. An image can create all sorts of emotions in a person. An image can make a person feel happy, sad or even angry. There is a lot going on in our brains when we see an image for the first time and that first impression winds up meaning much more than you may think. Tests have been run that reveal very interesting things about how people perceive a person from something as simple as an image. 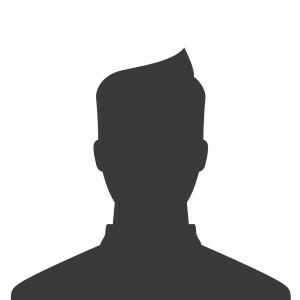 For instance: CEO profile pictures hold more authority when the person in the picture appears to be very healthy. There are good image choices and bad image choices. This is especially true when you start looking at profile images. It could be your personal Facebook or Twitter profile image or it could be a professional image on LinkedIn or your corporate website. These images are often the first thing a person sees and we all make judgments on those pictures even if they are very subtle. The typical bad image examples may show a person with an important celebrity or social icon. The celebrity or social icon are often the focus of these types of images. You may think this type of image makes an excellent profile image, but it does not. Always flaunt your best assets in your profile picture. You may have a smile that portrays confidence. If you do, make that the highlight of your image. Be careful about your choice of attire though, as more provocative clothing can really give a person the wrong idea and cause too much of a distraction. For brand pages, the safest bet for a social media profile image, is to focus on the logo, or an emblem or icon related to the logo. Sometimes a staff photo will work well for this too. Also, make sure you use a highest resolution image allowed, as images that look compressed or pixelated can give customers the impression a business isn’t as professional as it’s competitors. Your social media profile image can quickly ruin all sorts of good opportunities in your life if it happens to be the wrong one. Make sure you choose the perfect profile image to portray your business or message. They say “A picture is worth a thousand words.” Is yours?